My March bucket list was pretty short and even that didn’t stop me failing to get most of it done! Get the garden tidy. With the changes Ant has made, it’s made me want to get it totally clear and looking lovely again.I didn’t get the garden tidy. I’m not even halfway through. I have to admit to not working on it as often as I could. We did it, we bought the flooring for the kitchen and we even bought the paper and paint for the stairs project I’ve been wanting to do for ages. Ant made a start on the stairs but the Easter holidays wasn’t really the best time to start! The first night saw Ella forget about the wet paint not once, but twice! I can’t wait to see them when they’re done. I decided not to read the second two books in the box set. The first book was ok but it didn’t grip me and after reading just a small part about the workhouse in the first book, I decided I didn’t want to read more harrowing tales. I used to read true stories but they make me so sad that I stopped torturing myself with them. 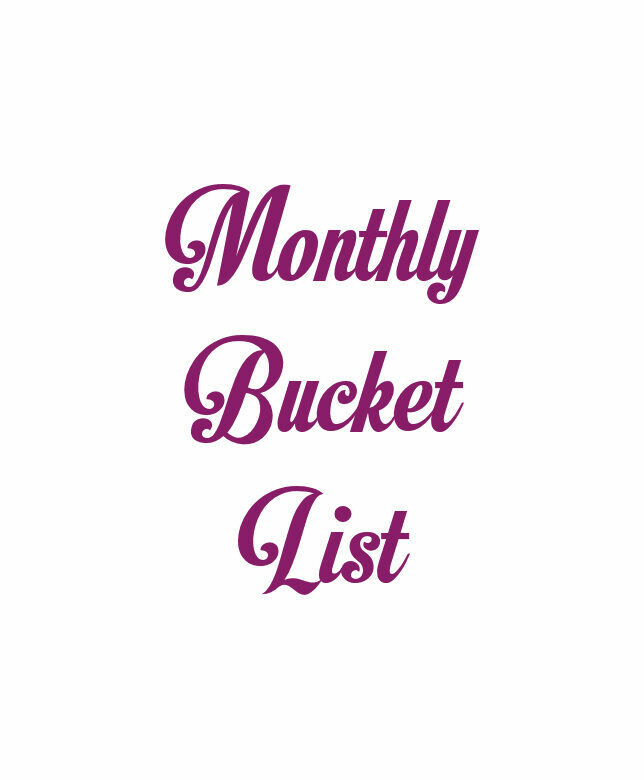 My April bucket list is going to be short again but I’m going to do my best to get it done! Start reading the Harry Potter series again. We watched all the movies over the Easter weekend and it’s made me want to read all the books again. I’d just started another book for April though so I have to finish this one first.